The second round of the FIA World Cup for Cross-Country Rallies finished in Abu Dhabi. Stephan Peterhansel, one of the most titled drivers in the world of rally raids, won this five-day event. He drove a MINI John Cooper Works Rally, prepared in the X-Raid team, and his wife Andrea was his co-driver. According to Peterhansel, the debut was not easy, but they coped with it and now are thinking about participating in the DAKAR. The second place in the race was taken by the crew of Sheikh Khalid Al-Qassimi, who is well familiar with the local sands; the Pole Aron Domzala rounded out the top three. Today he has fought with Al-Qassimi and Vasilyev, but the Russian crew has stopped due to a breakdown. Despite the fact that Jakub Przygonski set the best time on the final day, it did not bring him closer to the desired finish in the points (yesterday’s problems with the gearbox had an impact) – the crew completed the rally at the 18th position overall. The Russian duo of Vladimir Vasilyev and Konstantin Zhiltsov was able to reach the finish line, despite all the technical problems during the race. Guys have finished today’s special stage at the 15th position due to a broken gear selection lever of their BMW X3 SS with a blue-white-red tricolor on the livery. Vladimir Vasilyev, driver, “There were no problems, but at some point the gear lever came off. I had to stop, disassemble it and switch to the first gear. We were lucky enough to get to the intermediate service that way, where we fixed the problem. Of course, we lost time, but we are happy that we made it to the finish. The race is challenging – I like it. This year we’ve just been not very lucky – the engine has been warming up and there have been some minor problems. But motor racing is a technical sport, we will try to avoid such problems, we will return to the team – we will definitely analyze what happened and take it into account”. The rally was really challenging, only 24 crew reached the finish line despite the fact that five days ago 34 cars in the car standings crossed the first day starting line. At the end of the final day almost every driver shared his impressions of a hard race and technical problems that arose during the rally raid. By the 2019 Abu Dhabi Desert Challenge results Vladimir Vasilyev took the sixth place that allows him to rise one position in the interim classification of the FIA World Cup, since none of the previous round prize winners scored points in this race. 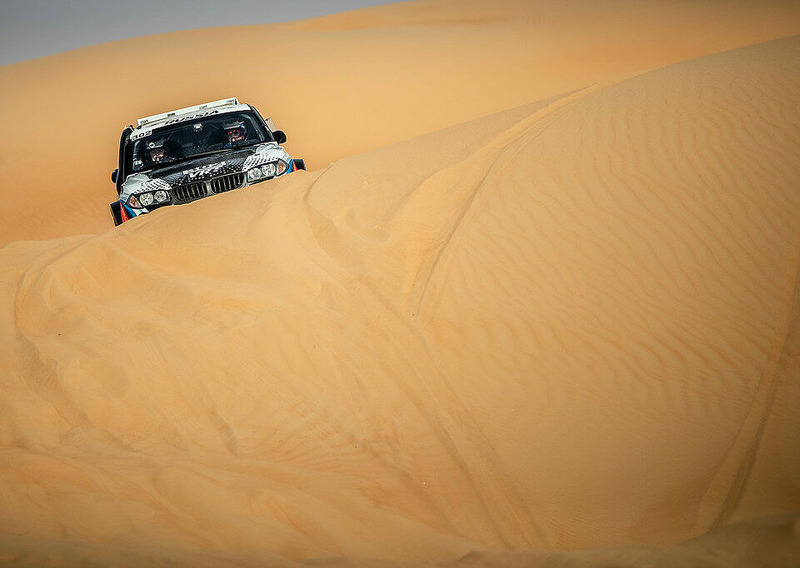 The Qatari Nasser Saleh Al-Attiyah is still the series leader, but Vladimir Vasilyev rises to the second position with 26 points, followed by Reinaldo Varela, who finished fifth in the United Arab Emirates. The next round of the FIA World Cup for Cross-Country Rallies will be held in Kazakhstan at the end of May, as the organizers of the planned event in Turkmenistan “crossed out” the race from the series calendar themselves. In the semi-deserts and deserts of Kazakhstan an interesting battle will take place among the drivers, who have made a bid to participate in the “big” World Cup series.